Our Work and Our Expertise are all about Fabric. The beautiful sculptural fabric structures in our portfolio have been designed, engineered, and ready-made for the fast-paced world of events and exhibitions. Our inventory of these ready-made elements is the largest available in the industry for rental. Clients may also purchase a custom fabric piece, selecting from several fabric options or printed with graphics, to use with rental frames. In addition to our ready-made elements, basic shapes—circle flats, rectangles, cylinders, and boxes for signage, lighting, or projection—are made-to-order for purchase, with client-selected fabrics and optional graphics. We're here to satisfy the desire of owners and designers to incorporate the beauty, practicality, and technical capability of fabric in their temporary or permanent environments. We know fabric, and we are able to take responsibility for all fabric elements of a project, from creative to installation. We often function as the general or lead contractor, and we can lead or coordinate with designers and producers of graphics, lighting, projection, and sound. You have a specific design, and you just need someone to build it. We can do that, too! 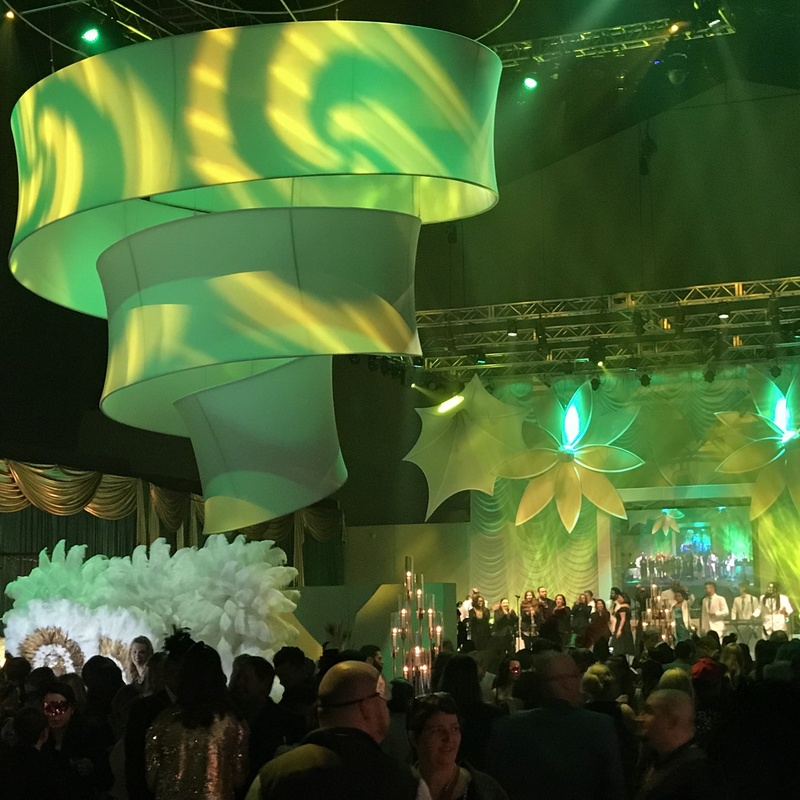 For event producers using our ready-made fabric structures, we offer complimentary design services and paste-ups to help you envision how Transformit elements will work within your event. For architects and interior designers, we can help an idea or vision move forward to a buildable design, and then build it. All the things we do—invent, design, engineer, make, print, store, clean, repair, deliver, and install—are available to you for your project, a la carte. Where do you need a creative solution? When called for, we incorporate fabrics with acoustical properties into our pieces to help bring some calm and quiet to noisy environments. 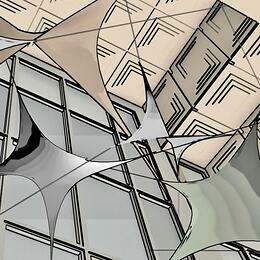 Using fabric to control light is not new, but using it in a building’s design phase is. We help in this kind of project by making the functional beautiful. 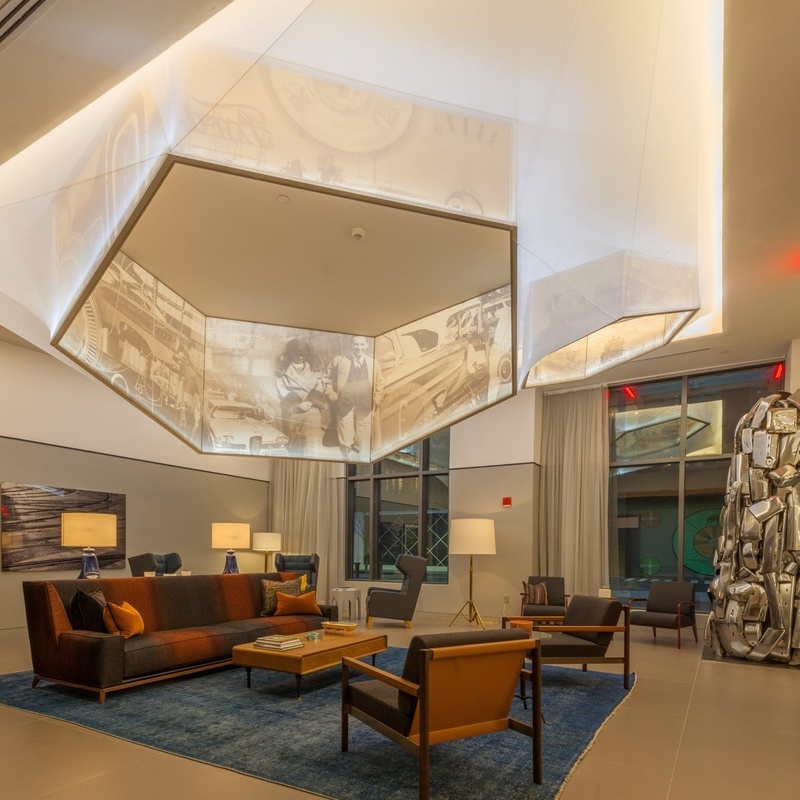 The development of affordable, compact, and flexible LED lighting has enabled us to incorporate lighting into fabric structures in new and exciting ways. LEDs can be used to provide unique lighting effects, illuminate graphics, and set the mood of a space. Fabric structures, walls, and tension wings enable public spaces to be transformed into rooms of your design and need.